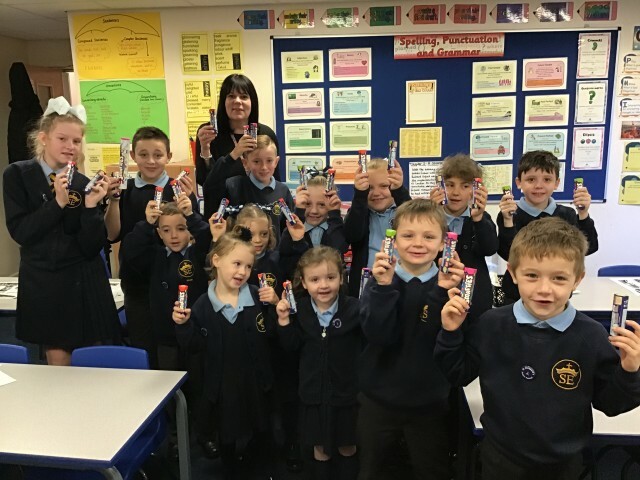 UPDATE – The Smarties Challenge has raised £405 for East Meru Community School! During Advent we have decided to raise money to help build a classroom for East Meru Community School in Tanzania. The classroom will transform lives, spread hope and enable more children to receive an education. St Elizabeth’s has strong links with this school. Miss Schofield and Mrs Whitehill sponsor a pupil each month and Mrs Whitehill is a UK director of the school. We will be giving each class two tubes of Smarties and would like you to fill them with 20p pieces. You could earn 20p by doing jobs at home or by asking people to save 20p pieces for you. When you have some 20p pieces, bring them into school and put them in your class Smarties tube. You could also buy a tube of Smarties and fill them with 20ps at home! Return in three weeks and we’ll collect the lot!